Note: This article addresses Inspect for Studio only. To learn more about using Inspect with Sketch and Photoshop, check out the Inspect for Craft Sync Getting Started Guide. Inspect simplifies the design-to-development process. With Inspect your team can access measurements, colors, and assets for desktop and mobile prototypes. Get pixel-perfect comps, export assets, and generate real code for any design element. 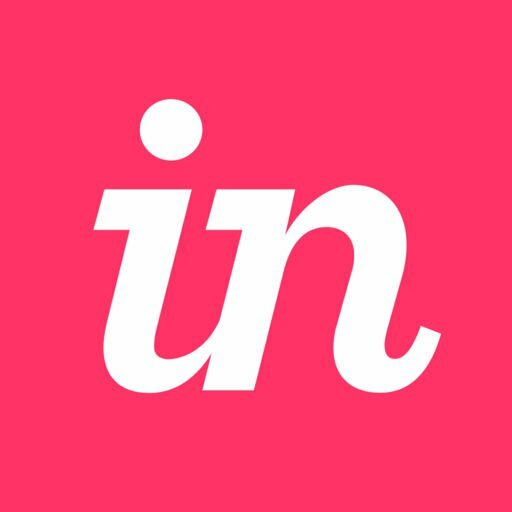 After publishing your Studio prototype to InVision, sign in to your InVision account. Locate your Studio prototype, and click to open it. To open Inspect mode, click the </> icon at the bottom of the page, or use the keyboard shortcut I. Note: You must sync your screens directly from Studio to access Inspect. Inspect will always be available in the console footer, but it will display a warning message for screens that were not generated or updated in Studio. In Inspect mode, the center of the page displays a canvas containing your current prototype screen. At the bottom right of the canvas, use the zoom buttons ( ) to adjust your view of the current screen. To go to the previous or next screen, use the Left and Right Arrow keys. The left sidebar contains the screen name and a list of all layers on the screen. The right sidebar contains all the other information about your current screen or selected layer. At the top right of the page, you can view the selected screen, group, or layer name. Also at the top right of the page, you can reveal the format settings, by clicking the ••• (more) icon. Choose from a variety of unit, code, and color types for inspecting your screen. In the left sidebar, you’ll notice the layers panel. This panel displays a list of all layers for the current screen with the exact order, layer type, and hierarchy found in the source Studio file. At the top of the layers panel, you’ll see the name of the current screen. When you hover and click, Inspect will select the top-level group by default. To select the most deeply nested layers, hold Command while you hover and click. Hovering over a specific group or layer in the prototype screen will highlight the item in light gray in the layers list. If you click a group or layer on the prototype screen, it will be highlighted blue in the layers list, and the layer group folder will expand. Conversely, clicking a layer or a group in the layers list will select that layer or group in the prototype screen. To collapse all expanded groups in the layers list, navigate to the top of the layers panel and click the collapse icon ( ). To measure a layer’s position relative to the screen, click the layer—either in the prototype screen directly or in the layers list—and move the cursor into a blank space on the canvas. Pink guidelines with position dimensions will overlay the screen. To display the relative distance between two layers, click the layer you want to measure and then hover over the layer you want to measure it against (either in the prototype screen or in the layers list). The same pink guidelines with position dimensions will overlay the screen. When no layers are selected, the information panel in the right sidebar will display screen-contextual information such as the artboard name, dimensions, colors, fonts, and layout. When no layers are selected, the right sidebar will display Dimensions for the entire artboard. When a specific layer or group is selected, their corresponding dimensions are shown. Click any of the dimensions to copy them to your clipboard. When no layers are selected, the right sidebar will display both Document colors and Screen colors. Document colors in Inspect are defined as all the colors used in the prototype. Screen colors are colors used on the particular screen you’re viewing. Click any of the color swatches to preview, and then click the color value to copy it to your clipboard. Note: If you have added colors to the document colors palette in Studio, they will not necessarily appear as document colors in Inspect. Only the colors actually used in the layers will appear in Inspect. When no layers are selected, the right sidebar will display the Fonts section. This is a list of all fonts used in the prototype. When no layers are selected, the Layout section appears in the right information panel. To show the layout columns on the artboard, toggle this feature on. Within the Layout section, you can click to copy values for the width, columns, gutter, and margin. For more information, check out this article: How do I show the layout columns in Inspect for Studio? Click any of the appearance attributes to copy them to your clipboard. If you click a text layer, the right sidebar displays the Content field. Click within that field to copy the text to your clipboard. Clicking any layer or group will expose the Code section in the right sidebar. This section will display the code snippet for the selected layer or group. To copy the code, click the Copy Code icon ( ). Note: The code that is displayed depends on which code type is selected in format settings. To access the format settings, navigate to the top right of the page and click the click the ••• button. With a layer or group selected, the Assets section will appear in the right sidebar. Unlike Sketch or Photoshop files, downloading assets from Studio prototypes does not require you to mark items as exportable. All layers, groups, and components are exported to Inspect when you publish a Studio prototype to InVision Cloud. Click the desired layer—either in the layers list or on your prototype screen. In the right sidebar, click the Assets drop-down arrow. Under Export Assets, choose a file type (JPG or PNG) and pixel density (.5x, 1x, or 2x). Click the Suffix field and type an optional suffix for the file name. The asset will download directly to your computer. Note: Currently, private access to Inspect is only available for Team and Enterprise plans. To give private access to Inspect mode for your Studio prototype, you must first add someone as a Team member (if on a Team plan), or add them to your organization (if on an Enterprise plan). Open the prototype, and copy the url directly from your browser. Use this url to share with others in your organization or team. Note: If you are on an Enterprise plan, you cannot give public access to Inspect mode. While in Inspect mode, navigate to the bottom right and click the green Share button. Anyone who views that link will be able to preview your prototype. To access Inspect mode, the viewer can click the Inspect mode icon ( ) or use the keyboard shortcut I. They will then need to sign in to their InVision account.